Just a quick post for the yummy dinner Charles made today. 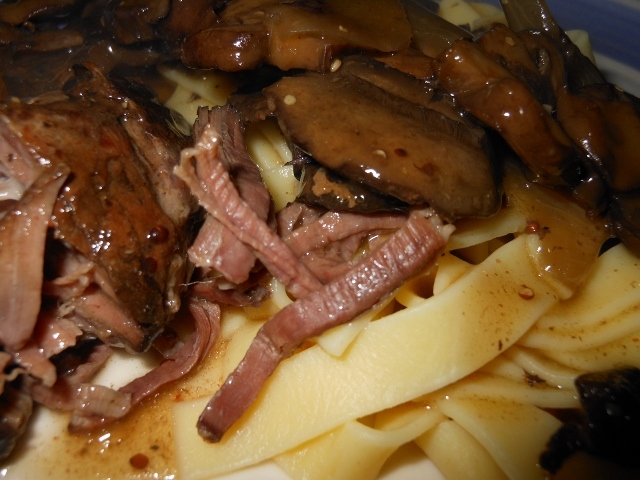 Fresh mushrooms and beef are always delicious together and in a creamy sauce with noodles it’s even better. 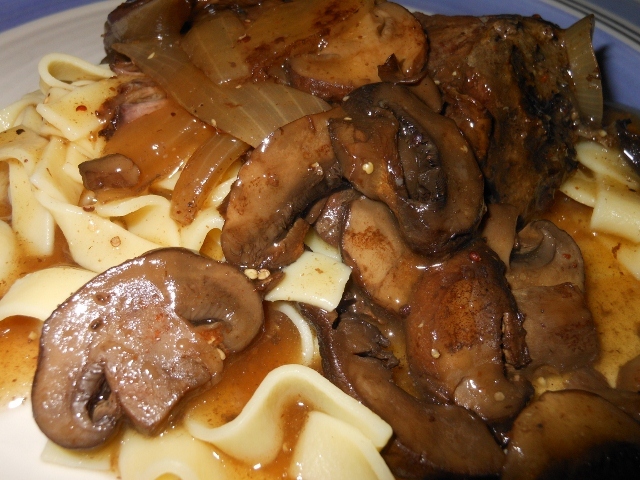 Brown mushrooms, beef, onion, and celery in large skillet; drain if desired and add seasoning and chicken stock. Simmer for 10 – 15 minutes. Stir in cream and add to skillet. Whisk together flour and cold water, slowly stir into skillet and bring to a slight boil. Simmer for another 2 minutes until thickened and combined. Serve with noodles or rice. Just a quick post for some sloppy nachos today. They are one of my favorite treats after a busy day. 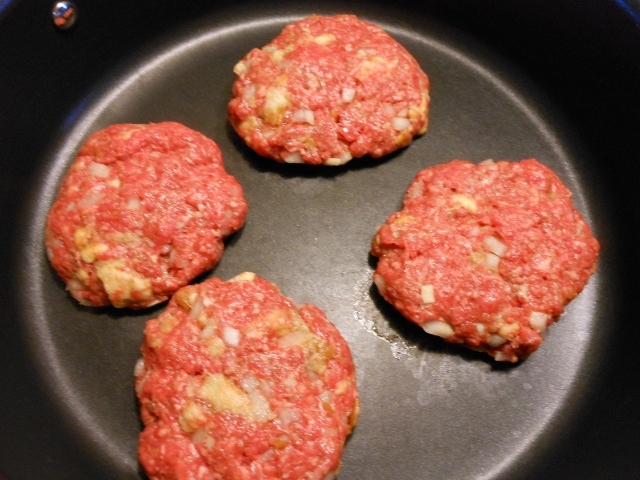 In skillet sauté ground chuck until cooked through and no longer pink. Drain if desired and stir in taco seasoning, salsa, and black beans. 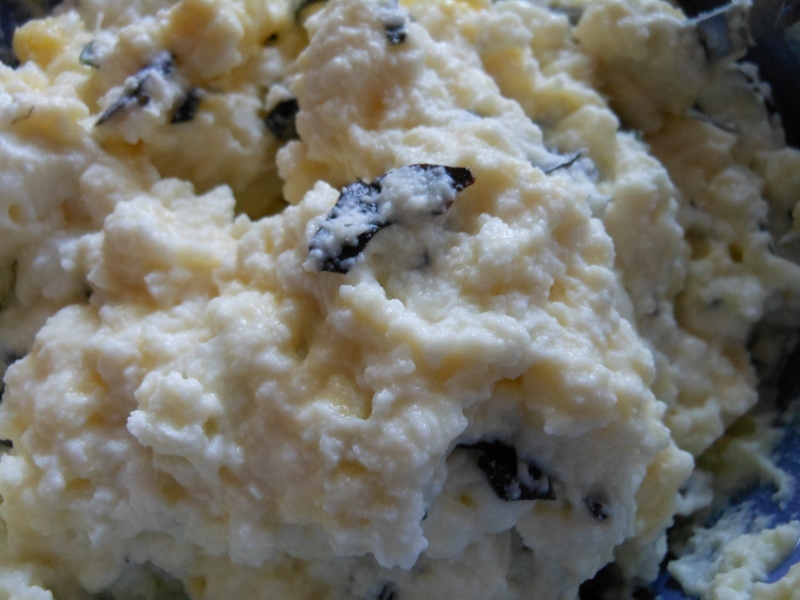 Spread into oiled casserole and sprinkle with cheese. 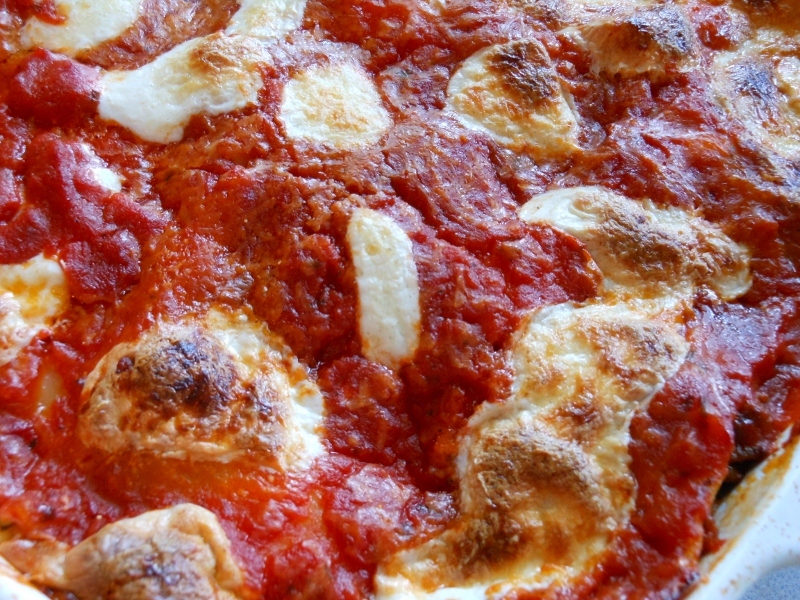 Bake at 350 degrees for about 20 – 30 minutes until cheese in melted. Serve with your favorite toppings; avocado, green onion, black olives, sour cream, jalapeno, and of course tortilla chips. I don’t use my crock pot much. It’s one of those things that finds its way to the nether regions of the cabinets and rarely sees the light of day. I don’t have anything against it; I just forget about it! I decided today to do a roast in my lonely old crock pot. Wow, it was so tasty. I know I’ve tried chuck roasts before and they don’t always come out the way I imagine but this tip roast was perfect. 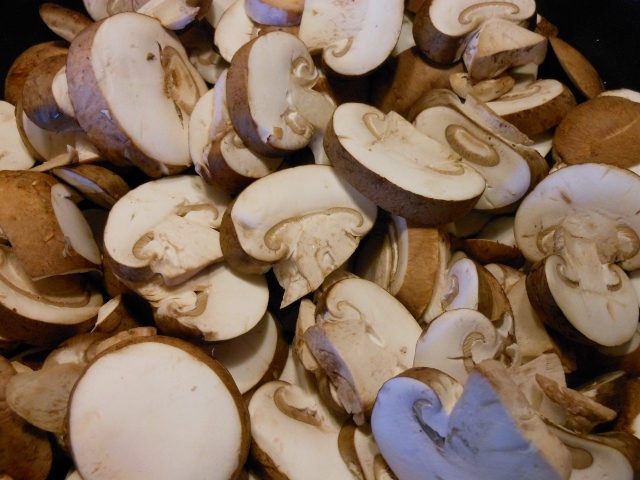 Place mushrooms in crock pot; add sliced onions on top. Pour in sherry, vinegar, Worcestershire and half of the spices. 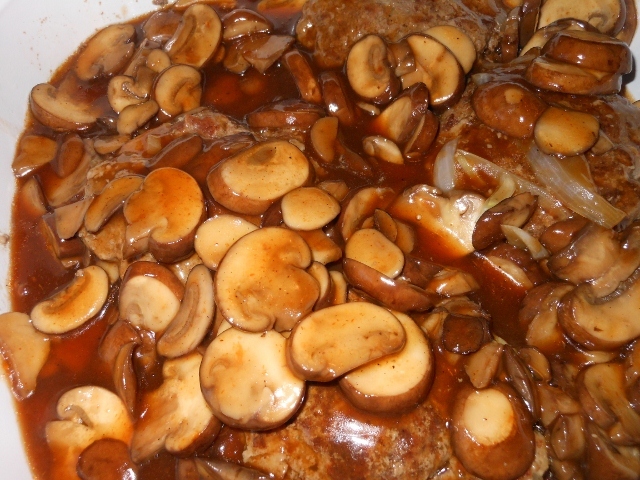 Place beef on top of mushrooms and onion and sprinkle with remaining spices. Cover and turn on crock pot. 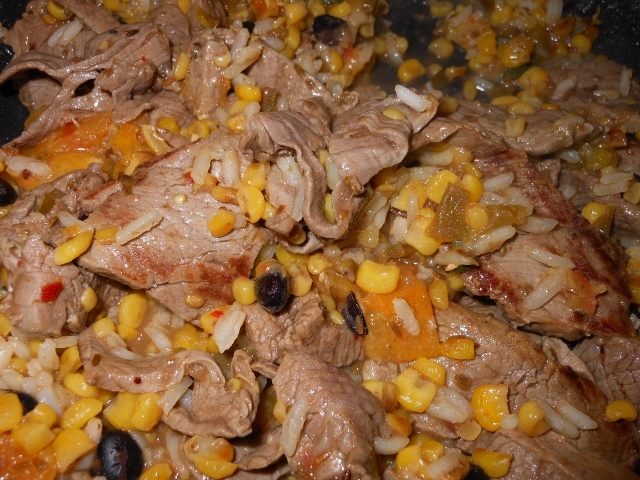 Cook on low for 8 – 10 hours. (I actually started on high for the first hour and the cooked another 8 on low). My crock pot was full. I had to press down on the roast to make sure the top would set on firmly. Once ready to serve cook some noodles and strain the broth into a sauce pan. 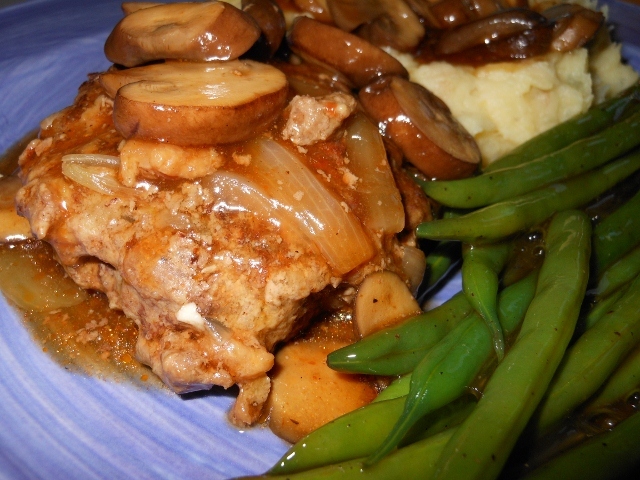 Bring to a simmer and thicken with cornstarch. You will need about 1 Tbs cornstarch mixed with 1 – 2 Tbs cold water to thicken each cup of liquid ~ I had about 6 cups of liquid so I used 3 Tbs cornstarch and 1/4 cup cold water ~ add this to simmering liquid and heat until thickened. Either ladle over the top when serving or stir it all together. Oh, it’s that time of year again. 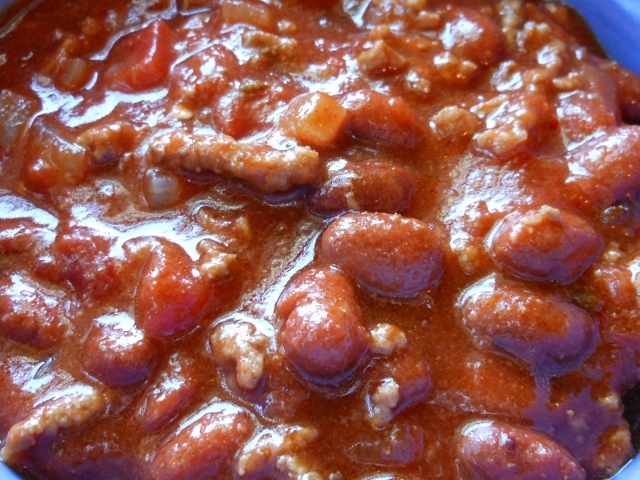 Chili season is one of my favorites; don’t get me wrong I can eat chili anytime but when the temperatures dip into the 40’s at night and the mornings are cool it’s easy to want to make up a big batch of chili and have a bowl or two for lunch! 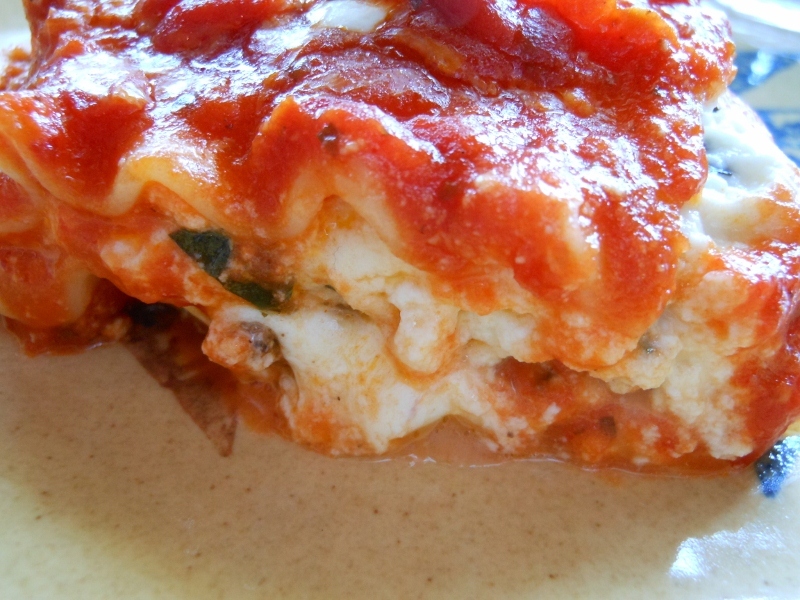 I am sure I will post another recipe or two but today’s is just a super simple recipe that is quick to make and requires only a few ingredients. 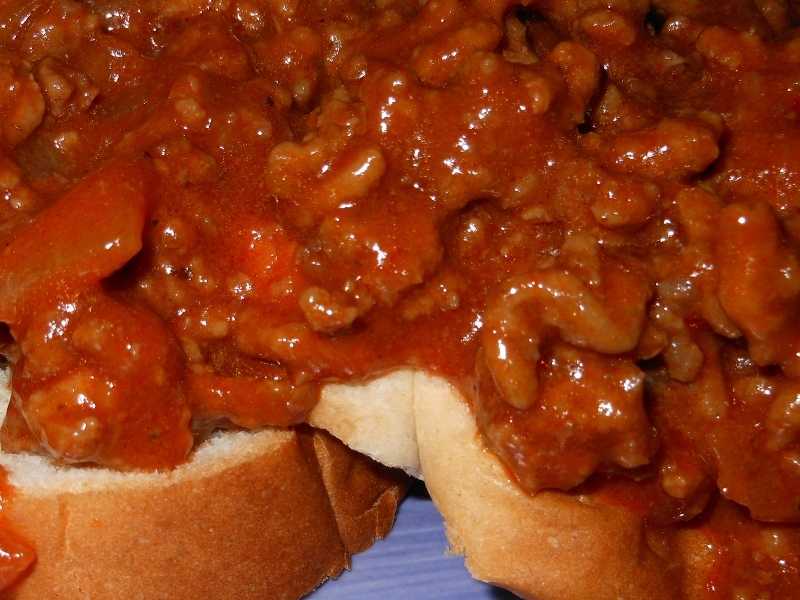 I like crushed tomatoes; they make a nice thick chili that ties together the flavors. 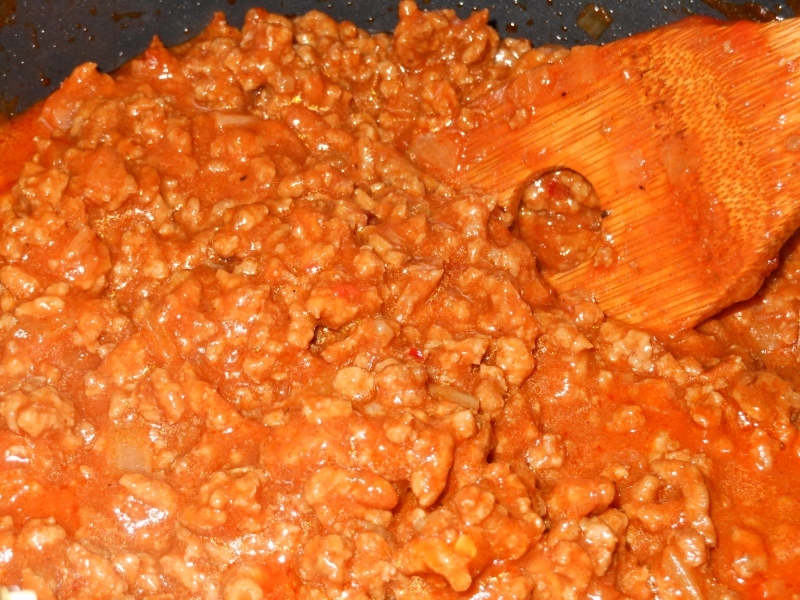 Cook ground beef, onion, and jalapeno until no pink remains; drain if desired and add chili powder. Stir in chili beans and crushed tomato and heat through. Reduce heat and let simmer for 30 minutes or longer for best flavor. If using pasta it is best to serve on the side and add to bowls at serving time. 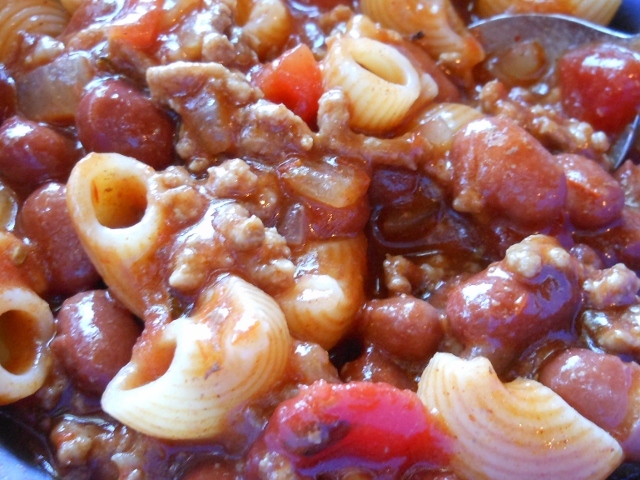 I never really used pasta in chili until I met my husband but that is his favorite way to have chili so I always try to remember to fix some kind of pasta whether it’s macaroni or spaghetti. I’d picked up a little steak on sale the other day and needed to use it up. I decided to make some burritos with the leftover corn and black beans from a few days earlier and I had some extra cooked rice too. I like my beef medium to medium rare so adjust accordingly for the cut of meat used. 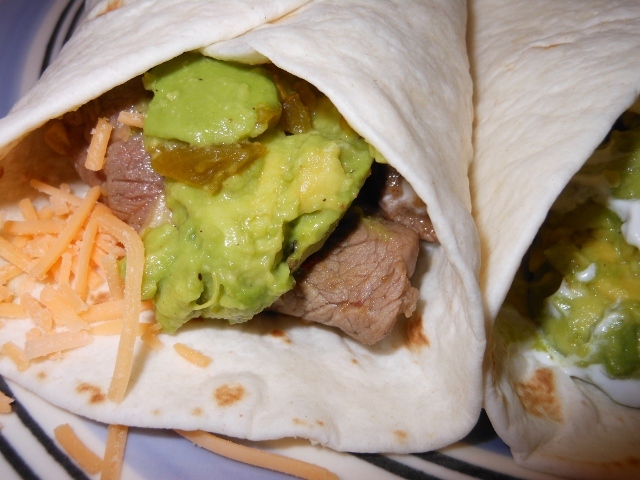 soft tortilla shells, cheese, sour cream, avocado, and any other desired toppings. 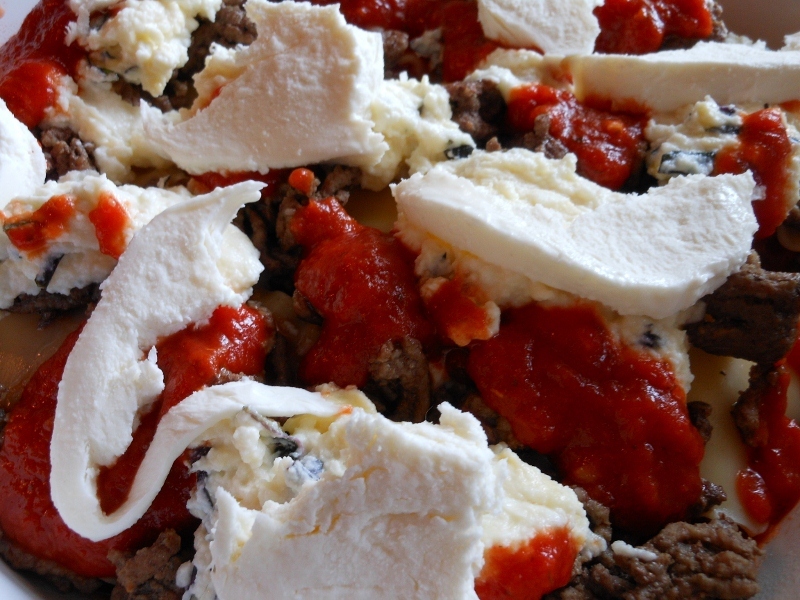 Thinly slice beef and set aside. In skillet begin warming corn and black beans. 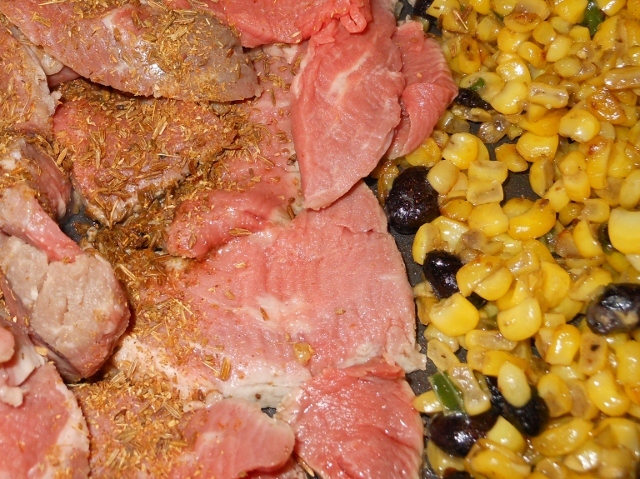 Once heated add steak; sprinkle with crushed cumin and salt; cook for about 3 minutes then stir. Add tomato and rice; stir and remove from heat. 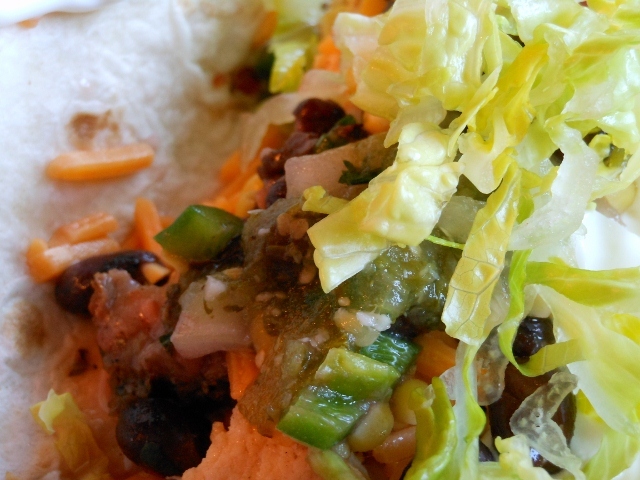 Serve in tortilla shells with desired toppings; should be enough for 4 – 5 large burritos. You’ve likely noticed a trend from the past couple of posts; some lovely mexican inspired salsa and black bean salad. Well it was all part of a wonderful soft taco dinner. Charles made a marinade for the meat. We used a couple of chicken breasts and a flank steak. The combination was delicious; the only thing it lacked was salt; somehow in the middle of everything we’d forgotten the salt so after cooking we sprinkled some on. It may have benefited from having some salt in the mix. Here, however, is the marinade as we made it. Combine all ingredients. In a plastic bag combine marinade and meat of choice. 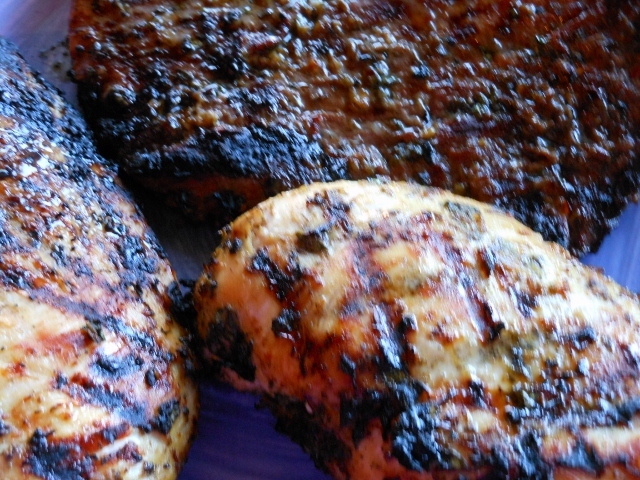 We made 2 recipes ~ one for chicken and one for the pound flank steak. 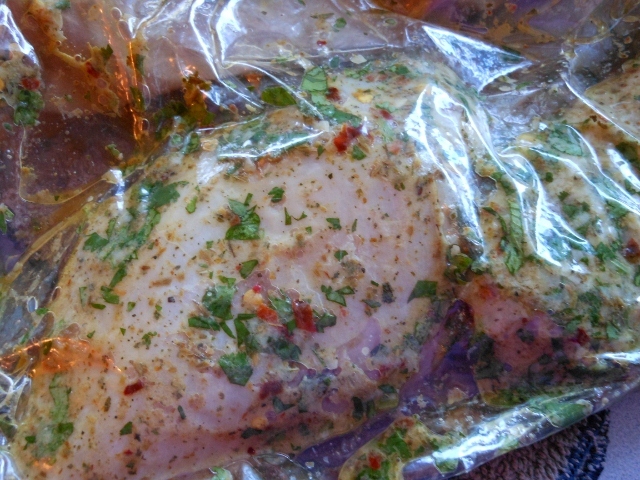 Refrigerate and allow to marinate for a couple of hours before grilling. 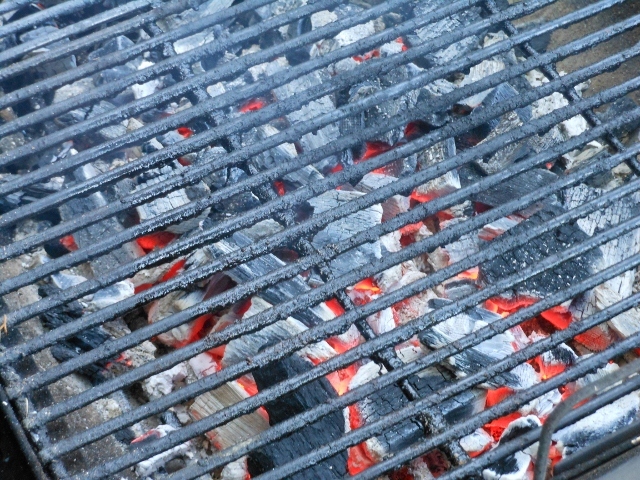 Charcoal is great for grilling but a gas grill works well too. 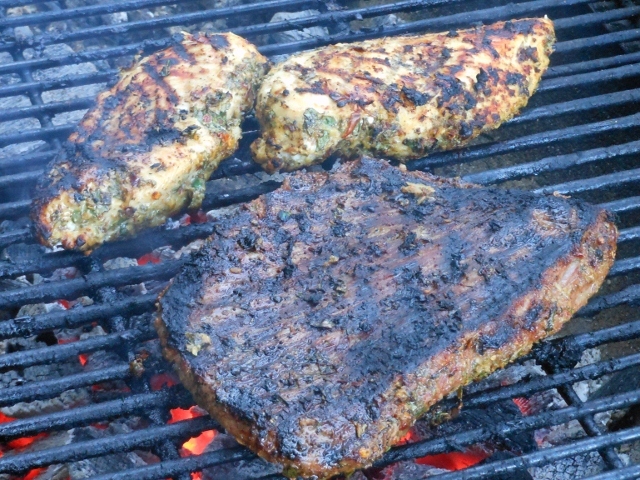 Cook over hot grill until desired doneness; medium rare is perfect for the flank steak. Serve with soft taco shells, lettuce, cheese, sour cream, salsa verde, black bean and corn salad, or any desired toppings. I had to hurry today to make lunch so I threw together a super quick stir fry. Just over 15 minutes to get lunch on the table. Not too bad if you ask me! 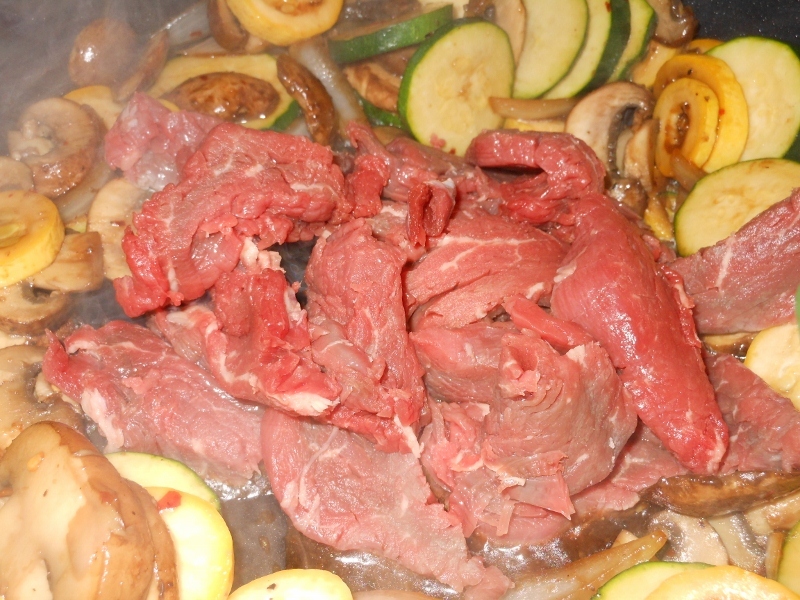 You will want a tender cut of beef; chicken or shrimp would work well too just adjust the cooking time as necessary. I used a piece of beef tenderloin the butcher had marked down at the local grocery; not a cheap piece regular price so a rib eye or something of the sort would maybe be a good choice too depending on your budget. Bring water to boil and add rice; reduce heat, cover, and simmer 15 minutes or as directed on package. Meanwhile heat oil in large skillet. 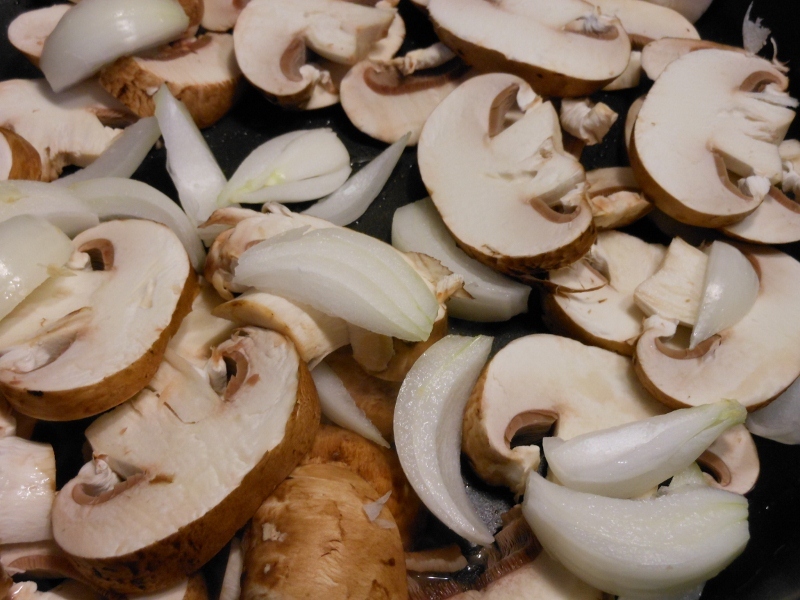 Slice mushrooms and begin to sauté; add sliced onion and cook for about 5 minutes. 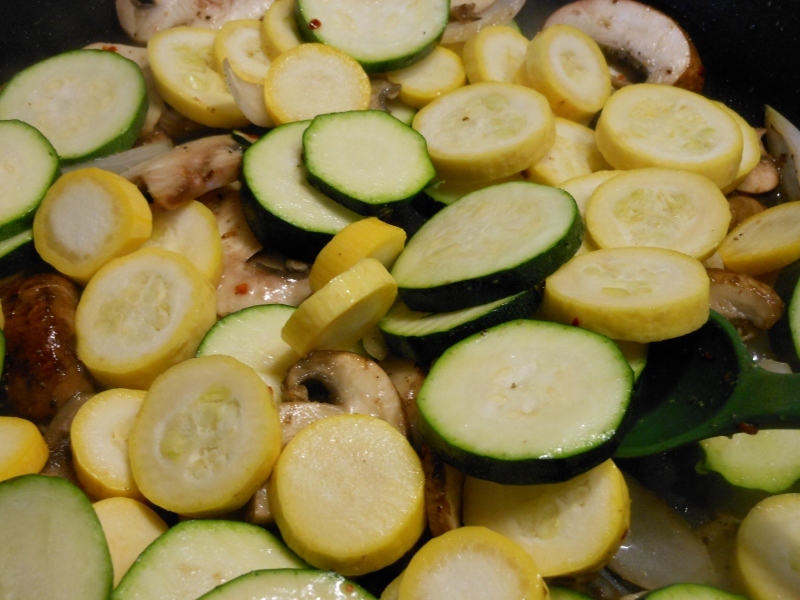 Add salt, peppers, and garlic powder; stir in sliced zucchini and squash and simmer about 4 minutes. 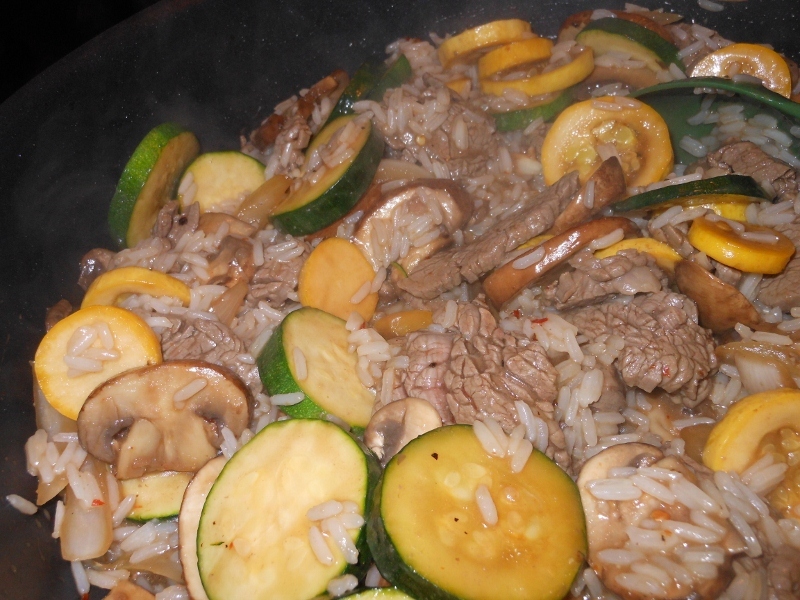 Push veggies to sides of pan and add beef and soy sauce; cook another 4 – 5 minutes or until desired doneness. Rice should be done cooking now as well so stir in rice and serve.